Carey Hart, left, and Pink arrive at the American Music Awards at the Microsoft Theater on Sunday, Nov. 19, 2017, in Los Angeles. With wildfires burning their way through California, some have turned to the state’s cowboy roots to protect themselves. 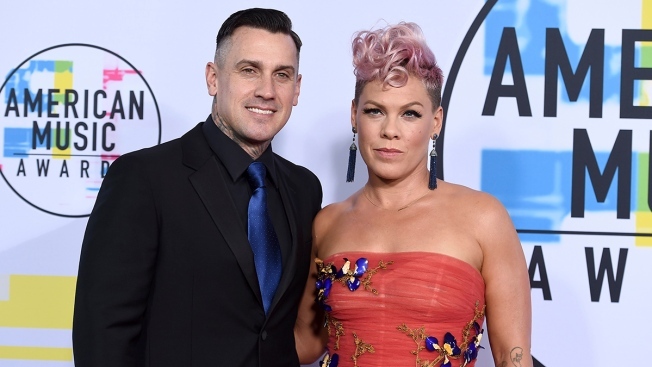 Carey Hart, a former motorcross star married to singer Pink, allied with people threatening to shoot looters targeting the towns affected by the wildfires. Hart said it was “unfortunate that some people take advantage of others in a crisis." Hart followed the comments with the #DefendYourLand and #2amendment. At least 75,000 homes and about 265,000 residents, including many celebrities, have been evacuated in Los Angeles and Ventura counties as the Woolsey Fire sweeps Southern California. Woolsey Fire has claimed three lives, and the Camp Fire, burning through Northern California, has claimed 48 lives. The photo Hart shared in the post has been raising eyebrows. It’s unknown if Hart is present in the photo. The Ventura County Sheriff’s Office issued a statement Sunday, Nov. 11, detailing the steps it’s taking to prevent looting in the areas of Southern California affected by the Woolsey Fire. 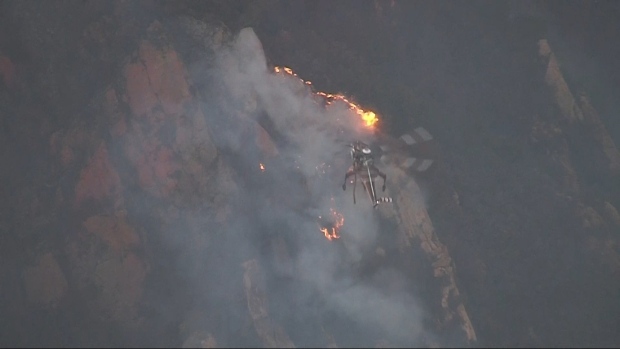 The statement also said there are 75 law enforcement officers patrolling the southeastern section of Ventura County. It also called on resident to “be vigilant” and call the police if they witness suspicious or illegal activity.